﻿ The Grumpy Drivers’ Club | GET ON DOWN. GENESIS REVULSION? Curtis Hutchinson knows what he likes. Or does he? 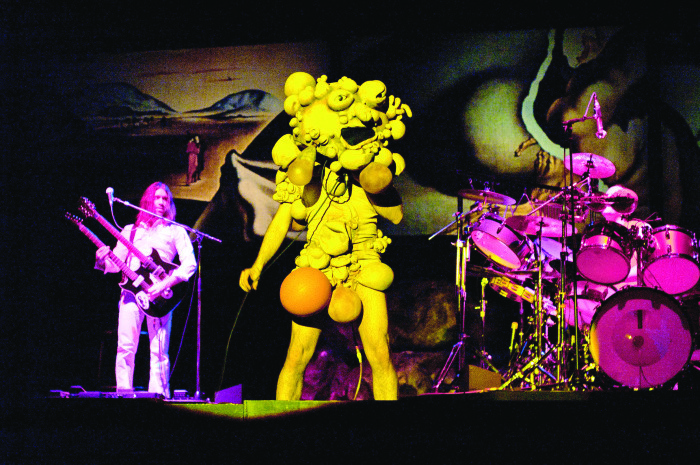 Our Prog-phobic reviewer finds guilty pleasures in Genesis's 'R-Kive*' career retrospective. (*That title gets on R-Wick). I’ve had an epiphany. Not on the road to Damascus, which, like the M3 is best avoided these days, but on the road to the Geneva Motor Show. I thought I would use the trip to test drive a new four hour compilation of a band I’ve never liked and one which still divides opinion amongst music bores…Genesis. 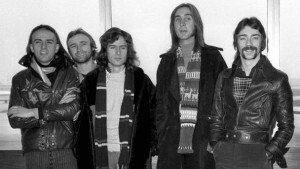 Genesis circa 1974. 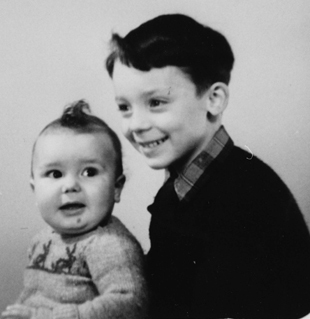 Guitarist Steve Hackett (right) would later moonlight in the 118 118 adverts. Way back in the 1970s I enjoyed a couple of their singles — I Know What I Like and Match of the Day (I don’ even like football!) — and the Trick of the Tail album. Clearly I wasn’t cut out to be a fan as they were not a singles band and this was their first long player after original lead singer Peter Gabriel exited. Then punk came along and I dutifully avoided them for the next 30 Years, sneering from the sidelines at the subsequent hits, when they discovered being a singles band was good for business and Phil Collins became the face and voice of the 1980s, God help us. I felt vindicated. Fortunately my travelling companion, in our mighty SsangYong Rexton W, was well versed in the ways of Genesis and was something of an authority on their more challenging early prog rock oeuvre, the stuff I didn’t know but was curious to explore after recently hearing The Lamb Lies Down on Broadway for the first time on the radio. The first of the three disc R-Kive set (a useless pun but effectively the best of both Genesis and their solo constituents, in OCD friendly chronological order) was slipped into the CD player. 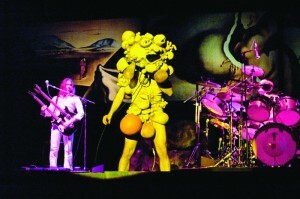 While I was full of trepidation at the prospect of four hours in the company of a band I hated, he saw it as an opportunity to wax lyrical about 15/16 rhythm patterns (Firth of Forth, since you asked, and not on this album), Gabriel’s bizarre pre-Glam costumes and the deep lyrics, man (the never ending, well 23 minute, Supper’s Ready is culled straight from the Book of Revelations, apparently). 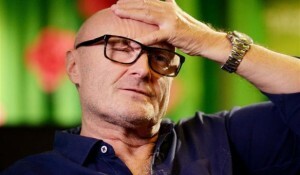 Phil Collins recalling the six hours he spent trapped in a lift at Lickey End Metropole with members of the Wolverhampton Genesis Apprecation Society. The experience was more agreeable than expected. Despite the overuse of meandering keyboard solos, the early prog stuff has its moments (notably The Musical Box, Supper’s Ready and The Lamb Lies Down on Broadway) while Ripples, a Collins-era song I had forgotten, is simply quite stunning. 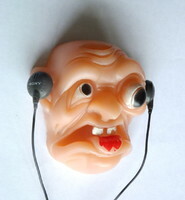 I also found myself reluctantly warming to some of the familiar hits from the FM friendly Follow You Follow Me and Abacab to the positively dark Mama. However, no amount of glossy repackaging can make a silk purse out of Invisible Touch, Collins’ woeful Easy Lover or Mike and the Mechanics’ dreary Over My Shoulder. 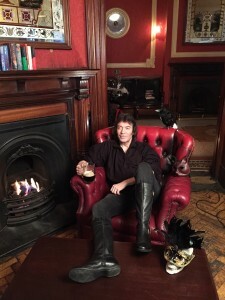 Whilst the solo Steve Hackett and Tony Banks material suggests the band had two Ringos. In short a fine double album plus a useful coaster (Ouch. Mr Hackett supplied some of the pictures for this. 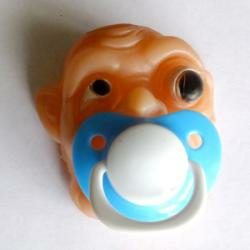 We’ll have to go into hiding now, ed). I’m already planning my next road trip of rediscovery or vindication in the company of The Smiths; a fine sounding band held back by miscast front man? Discuss. Curtis Hutchinson is ROCK. Better known as editor of Motor Trader magazine, Curtis has a secret double life as bass player with Croydon industrial noiz trio ‘Snort Detergent’, whose seminal 50-minute opus, ‘Loud Inhaler’, received Kerrang! magazine’s ‘Most Sensitive Lyric About Dystopian Misery Award 1992’. Actually, none of this is true, except the bit about him editing Motor Trader, but Curtis does know about music and even plays it in his car on the way to work, making him our ideal music critic.